Why am I writing this blog post? I think what inspired me most was that I wanted to give real insight to what is really going on behind the scenes as I run my business on a daily basis. Social media is great at showing the victories and sometimes those wins inspire people in great ways. However, you don’t see a lot about the losses and the hardships. Sometimes I feel that bragging about success does more damage than inspiration. I’m a fan of leading by vulnerability. I believe by doing this, it takes win or loss outside my control and shows the big picture of life. Hopefully this post gives you a glimpse of that. Since 2010, I’ve been in a very unique position in observing the evolving trend in apartment fitness. Although it has been an incredible journey, it is becoming an extremely competitive and ruthless industry. The multi-family market is becoming a significant attraction to fitness entrepreneurs and fitness professionals. Due to this, barriers to entry as well as price wars have saturated my world. This new climate has truly challenged me to stand firm and strive for innovation as I fight to continue to be a lead pioneer in this un-niched-becoming business model. When I started the company almost a decade ago, I was virtually one of the only in this market offering onsite fitness classes and personal training to the luxury apartment. This concept was easy, fresh, and intriguing to the customer. Today, there is so much respectable competition, I’ve had to re-think my entire strategy and approach. The pain points specifically are pricing in our services, being labeled as an “apartment vendor”, and finally, facing the truth in having to evolve our message and perception of our brand. The Label: At the end of the day, what I am and what I do for my ideal customer puts me in a category labeled as an “apartment vendor”. Another way to say this is that when I walk into an apartment complex and speak with a manager to educate them on my model, I’m seen and viewed as another sales person trying to pitch yet another fitness service. This is not because they are bad people, they are simply over-worked and distracted. Apartment staff are being attacked from 2 sides. Side 1, they are getting daily complaints and putting out fires with their residents. They are pulled in a thousand directions and simply stressed out. Side 2, they are getting gifts left and right. Apartments and their managers are bombarded daily with vendors of all industries such as landscaping, insurance, trash valet, etc. They are wined and dined! I’ve even seen vendors go as far as giving gift cards, just so they can stand out from their competition. All this to say, this is a tough sales environment because the customer is almost numbed to generosity and jaded from the stress of people. Running a business that completely relies on someone, with this level of distraction, deciding or not deciding to sign a contract with me puts a whole different kind of pressure on how to approach and care for a professional relationship. My message: These two points bring me to my last. Whether it’s pricing strategy or the tough rollercoaster of being a sales person in the apartment industry, the fact is, if I’m not innovating and adapting, Gym Studios will never survive. This year specifically has inspired me to focus on the message my brand delivers. What do my customers really care about? How am I making our brand the solution to their real problems? How do I make them the hero of their story? How do I help them defeat their villains with our brand? If my customer doesn’t choose us, how and why will that be a poor decision for them? How can I truly improve their lives with our services? Answering and embracing these questions are some of the ways that will keep us in the race. We need to further understand our customers struggles and better our message to bring excitement and resolution to their professional and personal lives. How do I do that? I don’t know that answer, but I’m ready to ask better questions and listen on a higher level. 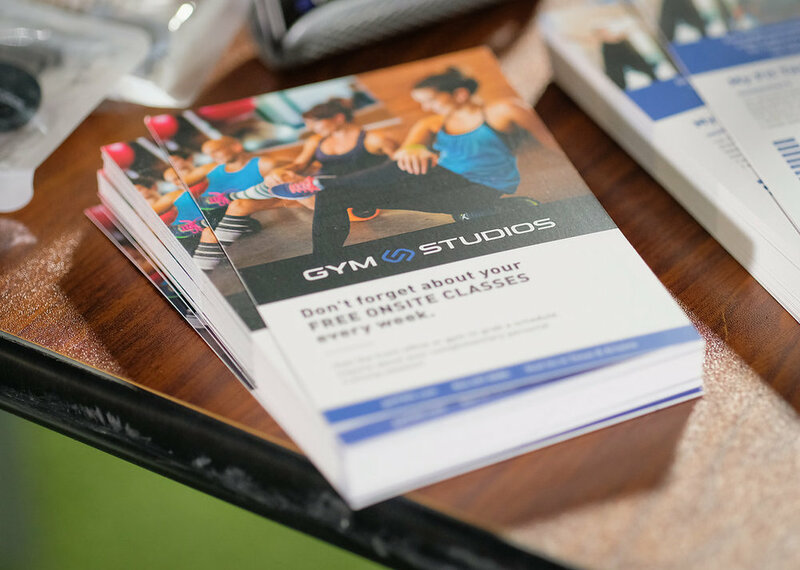 Gym Studios has had incredible victories, but we have had a significantly larger amount of losses. Those losses have made us stronger and kept us enduring. Whatever you are pursuing, embrace the losses so you can win.